1. Don’t hurry through this. Rest as needed to max output. 2. Max loads on lifts. 3. Run hard on sprints. 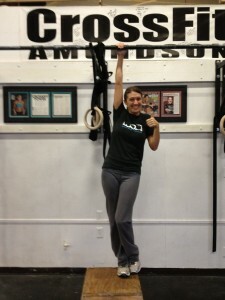 Congratulations to Keri on her 4 kipping pull-ups!